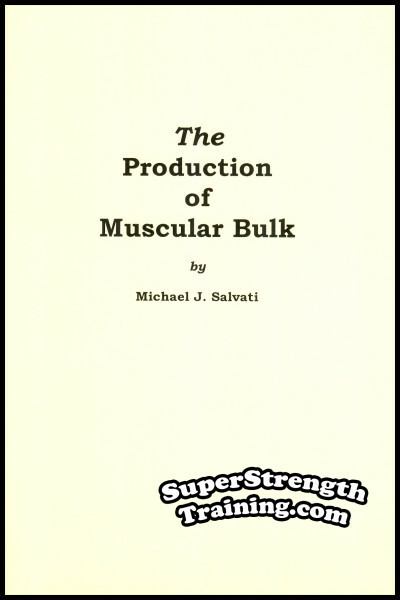 When people think about dumbbell training, they usually think about isolation-style bodybuilding exercises with relatively light dumbbells. You know – triceps extensions, lateral raises and concentration curls. 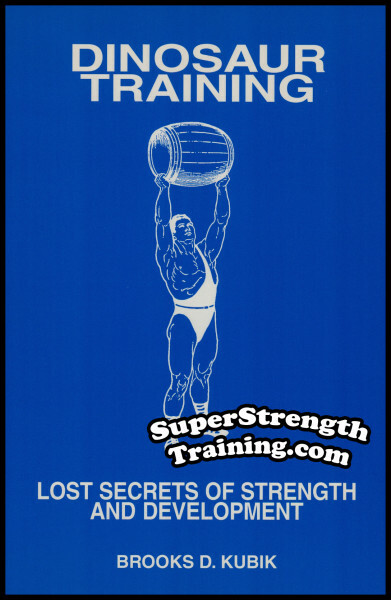 But that’s the MODERN version of dumbbell training. 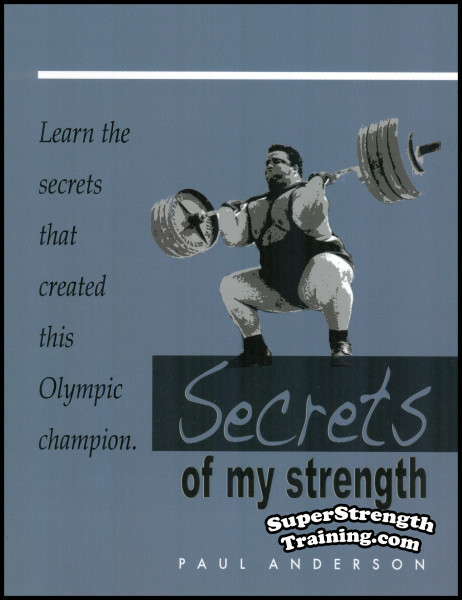 Many of the old-time strongmen – the men that the author writes about in “Dinosaur Training: Lost Secrets of Strength and Development”, and his other books and courses, – specialized in dumbbell training. But it was a far different type of dumbbell training than you see today. 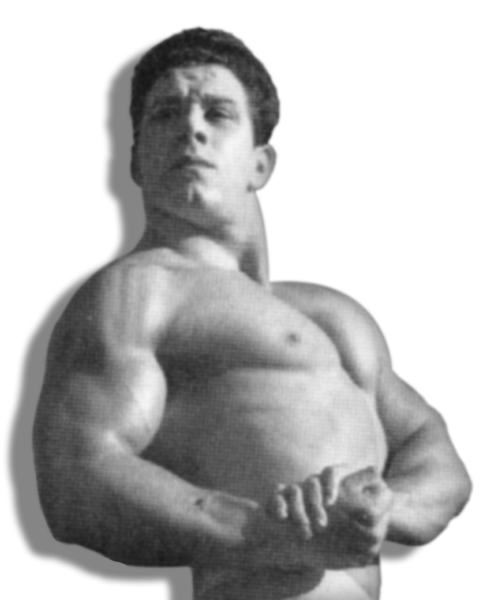 Three-time NABBA Mr. Universe winner “REG PARK” – England’s greatest bodybuilder and the most massively developed and strongest bodybuilder in the entire world in the 1950’s – set a British record in the two-hands dumbbell clean and press. 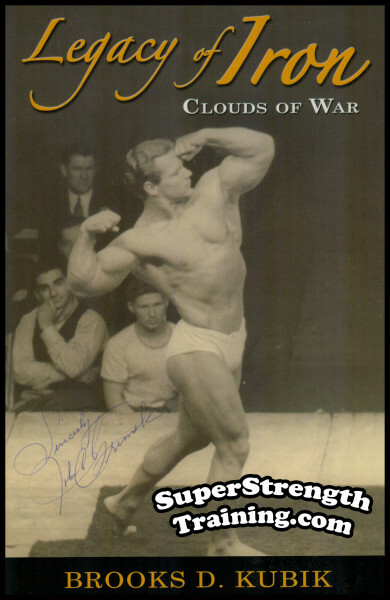 The Canadian Hercules, Doug Hepburn, a World weightlifting champion, World Record holder, Commonwealth Games weightlifting champion, and one of the strongest and most massive men who ever lived, set records in the one and two dumbbell press that have never been equaled. 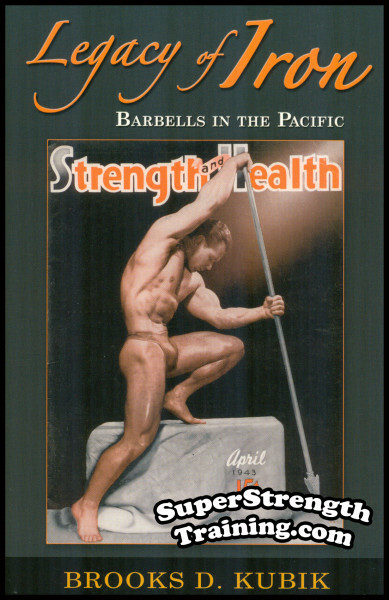 Tommy Kono – a two-time Olympic Gold medal winner, six-time World weightlifting champion, four time Mr. Universe and holder of 26 World records in four different weight classes – believed so strongly in the value of heavy dumbbell training that he had a machinist friend make a specially designed pair of dumbbell handles so he could handle his absolute maximum in heavy dumbbell training. 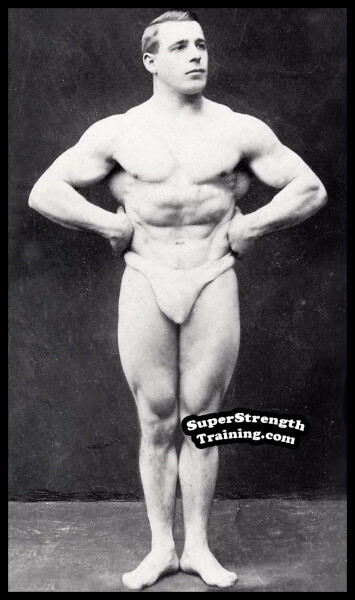 Legendary New York City gym owner “Sig Klein” – one of the best developed men of his generation, and pound for pound one of the strongest men of all time (he set a professional world record in the military press, handling more than 150% of his own body-weight) – considered heavy dumbbell training to be one of the true secrets of the old-time strongmen. 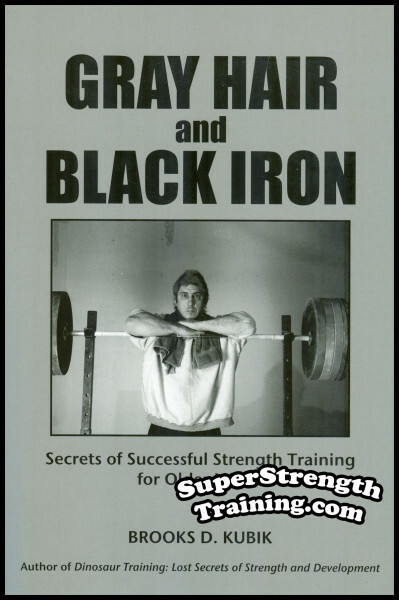 The incomparable “John Grimek”, the legendary Monarch of Muscledom, did much of his training with heavy dumbbells – and was able to clean and press a pair of 140-pound dumbbells! 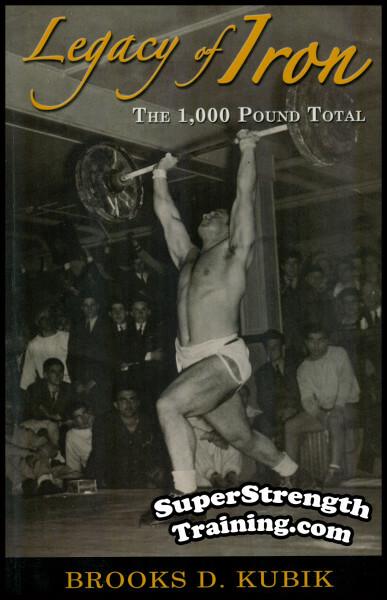 Grimek also excelled at the one arm swing – and was so good at this lift that when the York Barbell Club held informal contests on the lift, they told Grimek he was “too good” to compete! 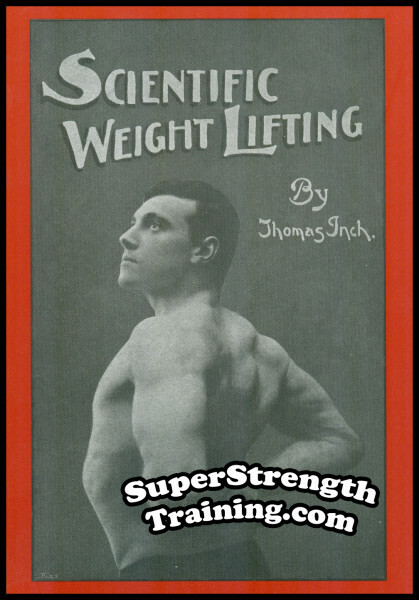 The legendary strongmen who thrilled the world during the Golden Age of Strength – John Marx, “Arthur Saxon”, Eugen Sandow, “Thomas Inch”, Louis Cyr, and Louis Uni (Apollon) – all trained with heavy dumbbells. 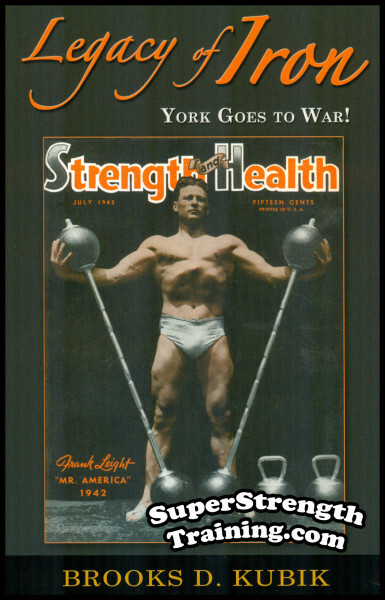 So dumbbell training – OLD-SCHOOL DUMBBELL TRAINING – has a long and impressive history, dating all the way back to the very beginning of organized weightlifting. 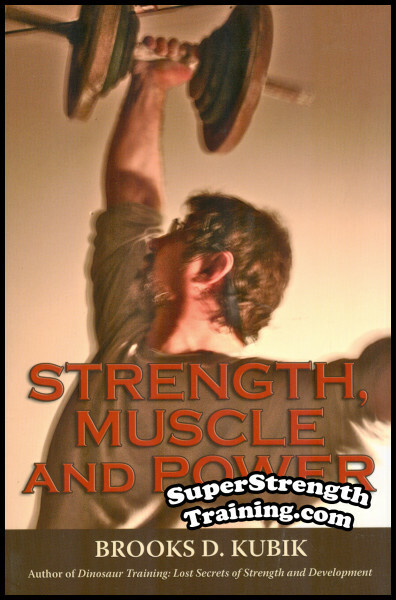 But as was stated before, we’re talking about Dino-style dumbbell training. 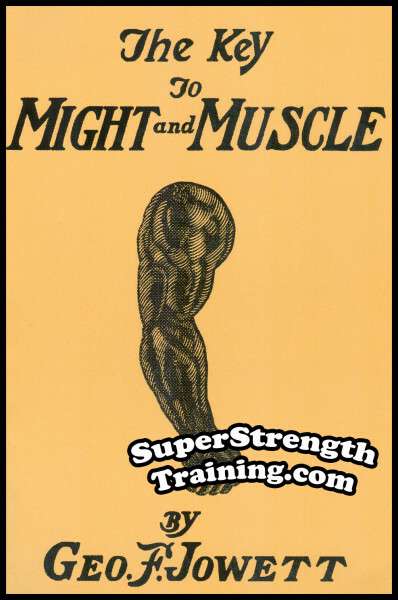 So forget about the lateral raises, the triceps pumpers and the concentration curls with the little finger extended and rotated upward for “maximum muscle contraction”. Instead, we’re going to cover TOTAL BODY TRAINING WITH DUMBBELLS – using old-school exercises that will build more strength and explosive power than you ever imagined. 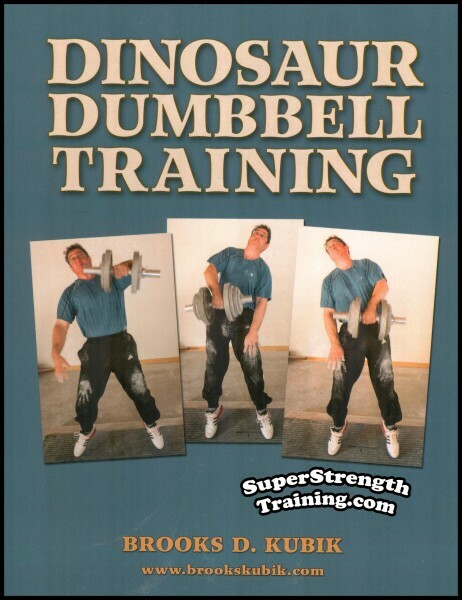 In “Dinosaur Dumbbell Training”, you’re going to learn more than 100 Dinosaur Dumbbell Exercises – that will take you through each exercise step by step, with photos to show you how to perform every exercise in perfect form! You’ll also learn how to combine two different double exercises into a power-packed one-two punch that lets you work your body twice as hard as single exercise programs. And for those who are looking for an even greater challenge, triple combination exercises are included: three dumbbell movements performed back to back as a single exercise. And yes, double combination and triple combination dumbbell exercises will allow you to build more strength and power in less time – and to improve your conditioning enormously! 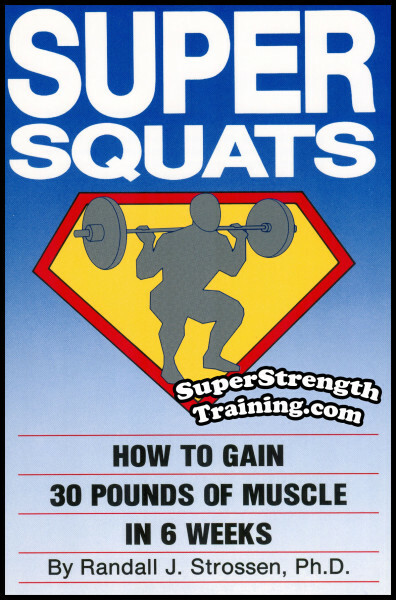 That makes it perfect for athletes, perfect for martial artists, perfect for law enforcement, military, fire-fighters and first responders – and perfect for anyone who wants to get a great workout with a minimum amount of training time! 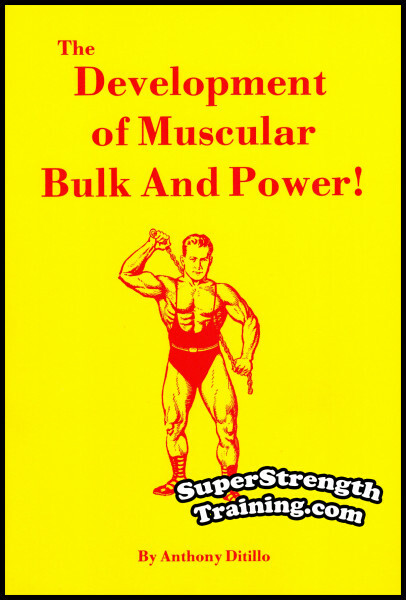 But “Dinosaur Dumbbell Training” brings you much, much more! 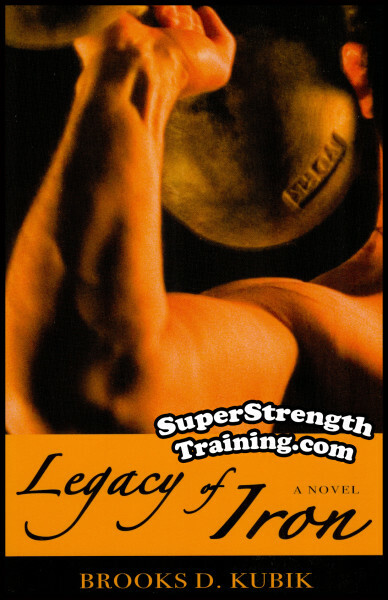 You’ll also learn a simplified system of dumbbell training that allows you to train fast, hard and effectively with minimal weight changes from start to finish – and you’ll learn how to combine Dino-style dumbbell training with your choice of heavy barbell movements – kettlebell training – body-weight training – or combination programs that feature all of these training methods. 1. 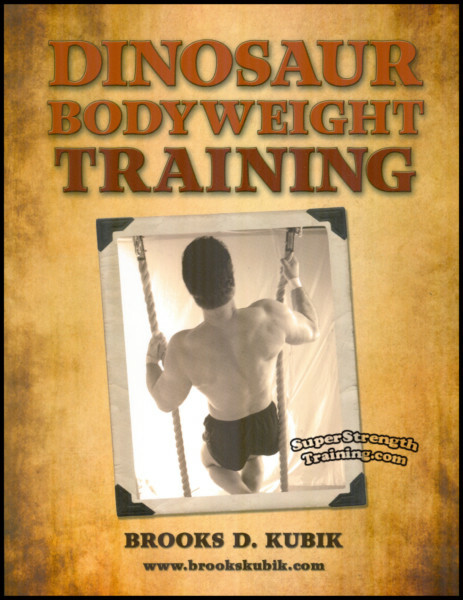 “Dinosaur Dumbbell Training” also includes 50 different workouts! 3. Workouts that combine dumbbell training with barbell exercises. 4. 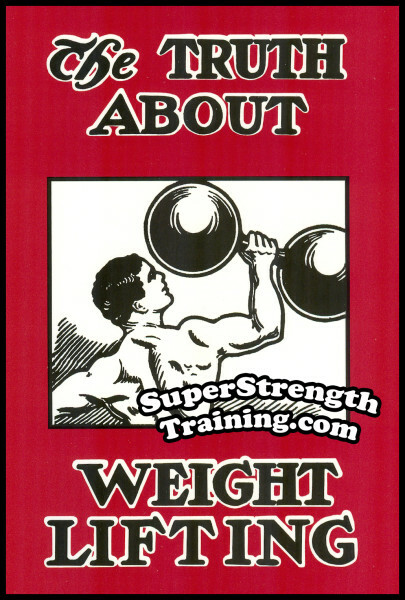 Workouts that mix dumbbell training and body-weight exercises. 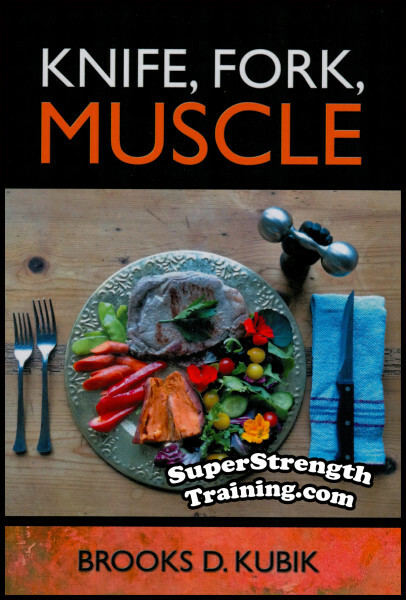 Put it all together, and you’ll have an encyclopedia of hard-core, Dino-style dumbbell exercises – with everything you need to know about how to integrate dumbbell training into your program – for great workouts, great training, great gains and great results! “Brooks Kubik, author of best selling Dinosaur Training, has done it, again! This time, the head Dino Man takes on another important training concept — he reveals his tried and true secrets of dumbbell training! 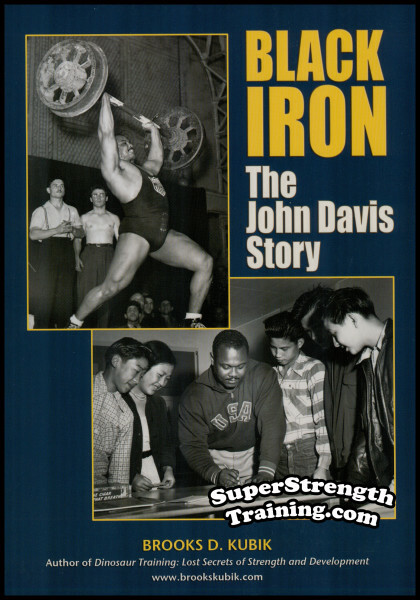 A beautiful 8 1/2 x 11, softcover book with 180 pages and over 300 photos! 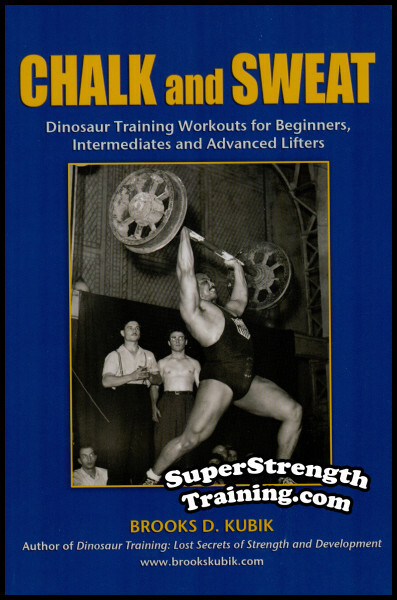 Order your copy of Brooks Kubik’s Dinosaur Dumbbell Training today!